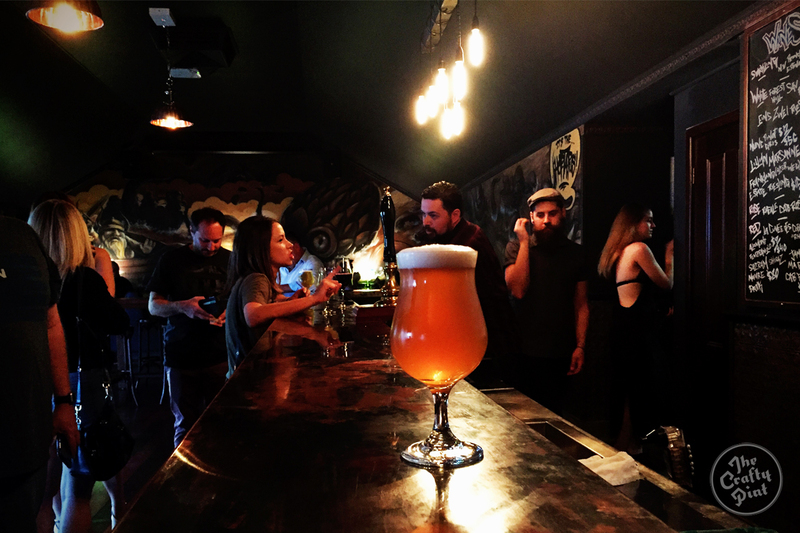 Hot on the heels – or the beer-stained Chuck Taylor’s – of the Perth CBD Crafty Crawl, Guy Southern takes a walk through the gentrified inner north suburbs of Mount Lawley and Northbridge. While the density of the sister suburbs may be slight when compared to Eastern capitals, the West Australian focus on craft ensures many venues punch well above their weight. What's more, both suburbs have benefitted from the relaxing of liquor laws in 2009 that opened the door for small bars – and kept the larger ones on their toes. While this crawl is all downhill – literally and, possibly, metaphorically – from the gentle peak of Mount Lawley, the trusty 950 bus is on hand for those wanting someone else to do the crawling part for them. The Scotto, as it’s known locally, epitomises the local pub, albeit one that sits proudly overlooking one of Perth’s more hip thoroughfares: Beaufort Street. Past the usually full outdoor tables and Mount Lawley’s parade of characters, the ground level pub feels instantly familiar with tradies, students and suits sipping pints and pouring jugs. Yes, jugs. Of beer. Remember them? Big name draught beers share the taps with rotating crafty options like Feral Brewing's War Hog, Boston Brewing Brown Ale and Nail Brewing Imperial Red. Consider this a toe in the brewing wort because craftier things are coming to the top of the hill – watch this space (or at least the one next door). Classic pub grub is served with weekday lunch specials and a Sunday ‘Pint and Pizza’ offer that starts at $12 for both is the stuff of legend. Upstairs, the Defectors bar brings a little class to its knockabout older sibling. Bartenders muddle, shake and stir hundreds of spirits in a Francophile's New York loft that has four taps and views of the city. The Flying Scotsman, 639-643 Beaufort Street, Mt Lawley. Barely five meters away is Caboose Beer Bar. Like a school excursion all of the best action happens at the back of the bus or in this case the back of the train, the caboose. Although connected to the Flying Scotsman, Caboose is cuts a more dark and masculine figure but one that shares a similar lack of pretension. The deep ochre space features vinyl DJ decks, three booths and a selection of high and low tables with not a single TV screen in sight. With no visual distractions the focus is on the bespoke barrel stave clad bar topped with a gloriously burnished copper. 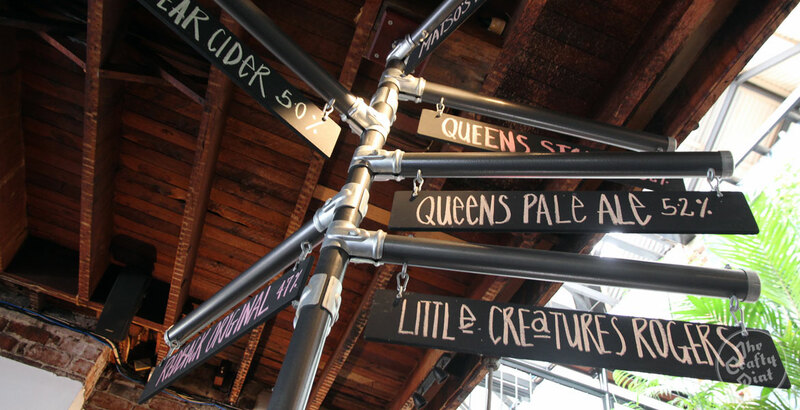 The 12 rotating taps share the bar with a single hand pump that’s a nod to a love of malty English beer styles. Draught offerings are complimented by a tight but diverse packaged range. Whilst cocooned inside it’s easy to forget the three long kerb side tables outside that share the Scotsman’s vista onto Beaufort Street. Three sets of massive bi-fold doors completely open Caboose on to the street allowing the whole venue to be bathed in light at sunset. A snack before moving on might include crafted toasties, fried chicken or selections of cold meats with cheese. Takeaway beers, including Growler fills will soon be available but for the purpose of this crafty crawl it’s time to hit the street. 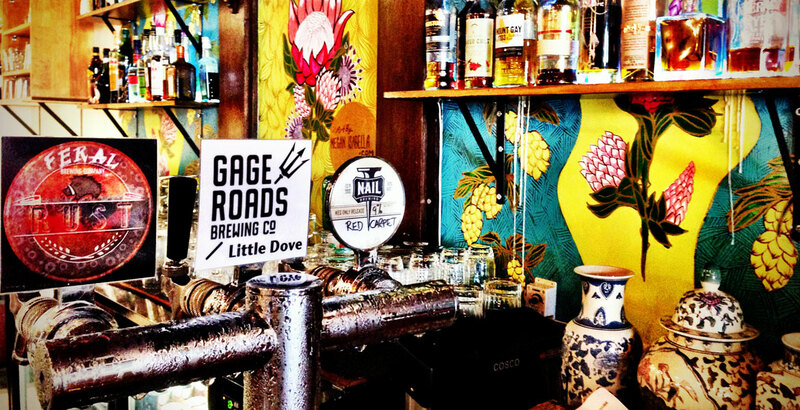 Caboose Beer Bar, 639 Beaufort Street, Mount Lawley. Busting out of the doors and down Beaufort Street, this Crafty Crawl continues a block south to the Mount Lawley institution of Five Bar. This old pool-hall has been thoughtfully renovated to maximise the airy space while providing separate areas for couples, groups and a lengthy bar that is crying out to have your arm resting on it. Modern share plates and monster Reuben sandwiches roll out of the open kitchen and the bar regularly hosts a charismatic oyster shucker who delivers bivalve dozens holding out for a stout match. 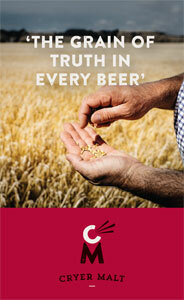 While the core tap range focuses on a more recognisable range, the two free taps play with limited releases. If there aren’t enough draft options to satisfy, there are another 60 beers in the fridge that, at time of writing, include back vintages of Nail Brewing Clout Stout. Regular beer events, including beer launches, draw crowds and, if you are lucky enough, there may be "seconds" available in the following days. 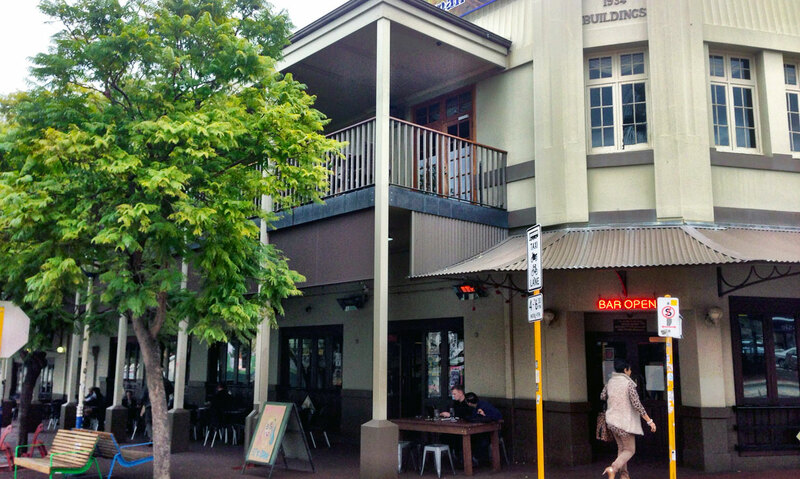 Five Bar, 560 Beaufort Street, Mt Lawley. While there are neighbouring bars worth spending time in, for this crawl you only need to move 100 metres away from Five Bar to the Queens Tavern. 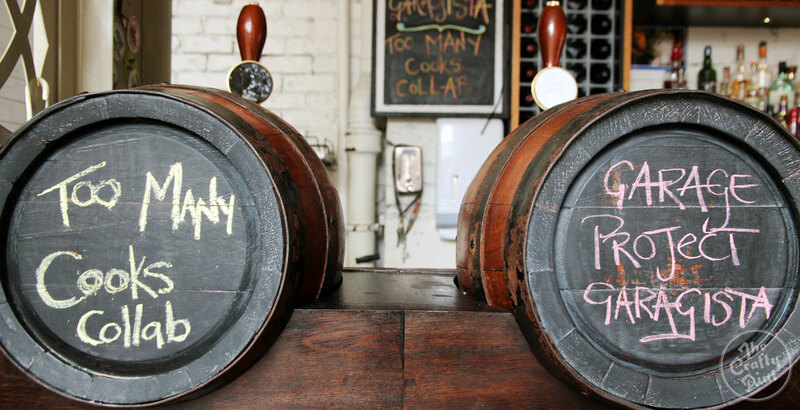 It's a rare alumni of Australian venues that can lay claim to serving thirsty punters for 127 years. The Queens is one of them. The venue was fully renovated in the mid-80s and, while the old girl now holds some modern touches like the decked terrace and reclaimed marble bar that serves beer and cider from 38 taps, the century old fireplaces still roar in the middle of winter. 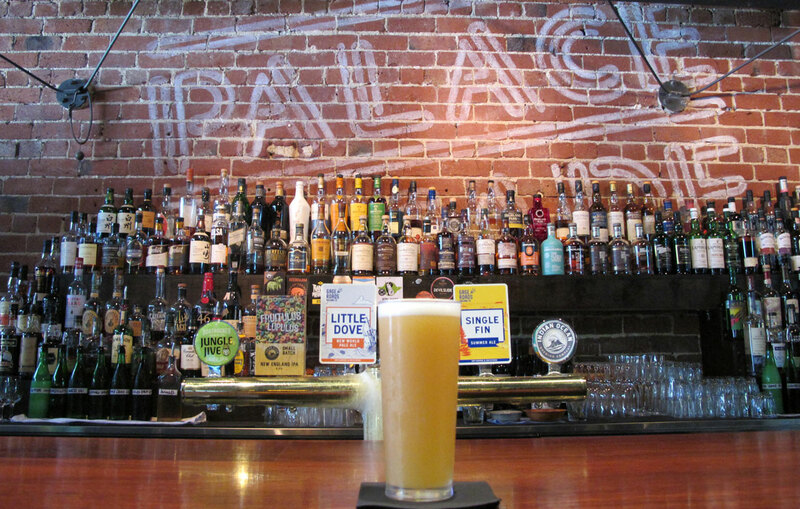 Monthly beer events, co-sponsored by the Perth Royal Beer Show awards, fill the upstairs bar with punters enjoying $5 pints and $10 paired food bites. The crowd favourite on the night joins the likes of Mash and Feral Brewing on the bar below for the following month. It’s an excellent initiative that has given broad exposure to smaller Western Australian breweries like Artisan Brewing from Denmark and 3 Rivers Brewing in Greenfields. After downing a beer or two, the choice is now yours: do you take a taxi from the rank in front, grab the 950 bus or walk off a few calories and work up a thirst with a leisurely 15 minute stroll downhill into Northbridge? 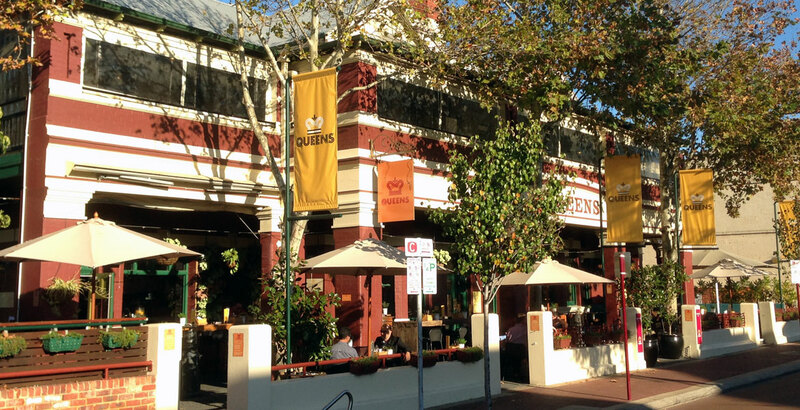 The Queens Tavern, 520 Beaufort Street, Mt Lawley. Transport decision made, head down four blocks along Beaufort Street then duck westwards to the top of William Street. Drift through the brouhaha of Chinatown towards the city and there, nestled behind a multi-coloured zebra, you will find Baby Mammoth. Equally, the zebra could be a small, mohawk-sporting horse with stripes: at once familiar but then delightfully different. Baby Mammoth runs in the same herd. The hardwood floors, bricked bar with three taps of carefully curated beers and a bottle list stretching to 80 more are all crammed into an intimate, self-renovated space that features an eclectic mix of bold local art, obscure movie posters and classic brasserie furniture. All of which makes you feel instantly at home but also keeps your eye roving the room like a savannah animal. The real twist is in the cocktail list that features beer-based ingredients for every cocktail that are sourced from mainly local breweries (and which you can read all about in our article here). 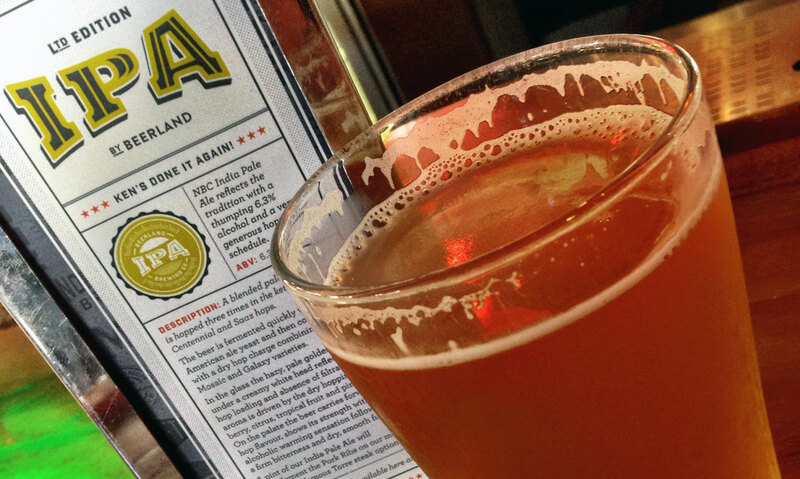 Try the GinGin Negroni that uses house-made Feral Hop Hog vermouth for a hoppy kick. The kitchen decorates the menu with subtle South African influences and uses beer throughout; regular events like beer and whisky pairings only add to the intrigue. Baby Mammoth, 2-305 William Street, Northbridge. Walking a few blocks down and west into the pulsing heart of the entertainment district, you’ll find the Northbridge Brewing Co, or NBC as it’s known locally. At the helm is head brewer Ken Arrowsmith, whose five draught only NBC beers – including at time of writing a new Mosaic and Galaxy, hop driven IPA – flow through three storeys of the architecturally designed venue. These join other tap options like Feral's ubiquitous Hop Hog in something akin to a good backyard party: there's something here for everyone. On top of the draft options, the fridge rotates through around 80 beers that include crowd favourites, Western Australian representatives such as Cheeky Monkey, Mash and Nail, American hop bombs and classic Belgians that have been known to include a couple of rare Westvleterens. Depending on when you call in, you could catch the remainder of the NBC Beer Club beer. This one-off beer is the result of a monthly challenge in which the NBC team goes head to head against five others selected from a classic beer style on the third floor SkyDeck. Subtly placed screens play a range of sports and the kitchen delivers regular food challenges and modern pub classics served in a venue overlooking Northbridge Piazza. Northbridge Brewing Co, 44 Lake Street, Northbridge. Leaving the NBC and heading east down James Street may make for an interesting journey through the bacchanalia of Northbridge, however, down alleyways, up staircases and behind rusted doors and gates are some of the most esteemed drinking establishments Western Australia has to offer – see other notable options below for more. For now, this Crafty Crawl makes its way past the currently mothballed Western Australian Museum to its final stop, Palace Arcade. The classic exposed brick walls, wooden floor and bar hold the ghosts of newspaper hacks, gumshoes and weathered detectives from the venue's previous neighbours but now 8-bit sounds and neon light fill the space. In its previous incarnation, this was home one of WA’s most revered venues: the Dominion League; now, it's a trip into classic 80s and 90s video game nostalgia and is a sight to behold. Double Dragon? Check. Time Crisis? You betcha! A whole wall of pinball machines? Absolutely! Up to 50 are available to play at any time from a personal collection of more than 200 sourced over the past 15 years. Perhaps best of all, some modern sensibility is at play with cards that can be pre-loaded for all machines as well as for drinks and food. Speaking of which, a suitably nostalgic range of pizzas is available from respected Mt Lawley pizza joint, Mack Daddy’s New York Slice. Beer wise, six rotating taps are supported by a strongly craft focused bottle and can range. Cocktails reference the games and are made with all the bespoke care of the previous venue team. Palace Arcade is at 84 Beaufort Street, Perth, WA 6000. You can check out our other Crafty Crawls here. We'll be publishing one a month from around the country. About the author: About the author: Guy drinks and writes about beer, goes for a run most mornings and makes his own chilli hot sauce. Find out more on Goodtimes Craft Beer via Facebook and Instagram.